The Gilbert Scott Restaurant, set within St Pancras Renaissance Hotel, serves a nostalgic British classic menu. 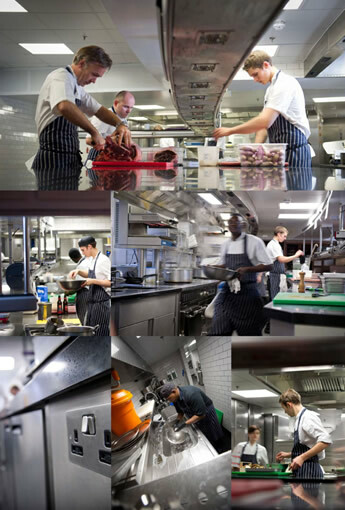 Marcus Wareing’s 25-strong team prepare and serve 300 to 350 covers daily, seven days a week. The kitchens serve the restaurant, bar and private rooms, whilst also accommodating a 10-seater kitchen table. Salix had to work with in the confines of a Grade 1 listed building. The kitchen had to be designed around the curved wall and low ceilings of St Pancras. Other suppliers said it would be impossible, but Salix came up with the solution, not the problem: a curved kitchen and exposed duct work that looked integral to the kitchen. Jayson and the Salix team installed kitchens for me through other suppliers when I was at Gordon’s (Ramsay). This time I went direct to Salix because they allowed us to dictate what we needed and came up with the correct kitchen for the space available. 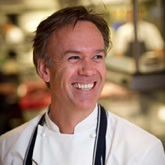 Marcus Wareing is the Head Chef - "Click on the link above, to hear what Marcus has to say".